Soprano, Sandrine Piau, appeared with pianist Susan Manoff in the intimate setting of Jordan Hall, part of the Celebrity Series of Boston, last Saturday. Ms. Piau is an internationally acclaimed, baroque and lyric soprano who has performed in most of the concert festivals in Europe, as well as at Carnegie Hall and Brooklyn Academy of Music, both in New York. A protégée of William Christie, founder of Les Arts Florissants, she started as a harpist before being discovered as a soprano. Ms. Piau’s voice traces back to the baroque, pearly-coloratura with its richness of high, low and middle ranges. For Jordan Hall, she and Ms. Manoff selected a serious, ambitious, and thematic 19th century repertoire to make a mark. Based on her latest recordings “Aprés un rêve,” (“After a Dream,” 2011), from which the recital is devired of German and French music by Felix Mendelssohn, Gabriel Fauré, Ernest Chausson, Richard Strauss, Vincent Bouchot, Francis Poulenc, and Benjamin Britten and is set to texts by illustrious poets such as Heirich Heine, Lord Byron, Paul Verlaine, René-François Sully Prudhomme, Guillaume Apollinaire, Louis Aragon and William Butler Yeats. The song’s cycle is marked by an awareness and acceptance of death, pieces that represent an allegory of the passages of life as well as its existentialist questions. While Ms. Piau’s voice has richness and texture, it was focused with dynamic control, flawless and was penetratingly eloquent. It also exudes an improbable equilibrium; a mixture of high-level agility, lightness and clear technique, indebted to the baroque and to pure emotion. She is the epitome of the exemplary artist to whom music is an emotion borne from the art of perfection. More at ease in the French repertoire than the German lieder, she nevertheless achieved a near perfect functional tonality and genuine success. Here was an artist in full command of her voice, as well as the music itself. When, at times, her diction faltered a little bit, it at least was done in the service of grace. She began, with great bravura and crystal clear sound Mendelson’s “Nachtlied,” a song of lonely grief by night, in full complicity with pianist Susan Manoff. It was, by far, the most difficult and complex piece of the evening. She proceeded with “Neue Liebe,” executed with dazzling, shifting rhythms, followed by “Hexenlied,” with its bewitching hallucination. With their often wide-leaping melodic lines and redoubtable technical demands, Piau commanded great tonality for Richard Strauss’s late-Romantic lieder. The humor of “Das Geheimnis” and charm of “Ständchep” came across with the skill of a natural storyteller, brilliantly sustaining the long, arching line of “Morgen” with its legato lines. Ms. Piau’s ebullient personality and dramatic character was ever present in Vincent Bouchot’s acerbic world of childish fantasy as well as in the German poet Morgenstern’s “Galgenlieder, Mondendinge and Der Hecht.” Piau’s theatricality and coloratura passages took off from there into less tonal, unpredictable gestures, demonstrating dexterity and an extensive voice range. Set to Francis Poulenc’s music, Piau sang four lyrics composed during World War II by two surrealist poets – Guillaume Apollinaire, who participated in the war, – and Louis Aragon, one of the founders of the surrealist movement. Her elegiac rendition of these great poems, tinged with Parisian frivolity and playfulness, was exquisite, despite the hovering theme of war. With Ms. Manoff’s sensitive and precise accompaniments, Piau’s incisive and calm rendition of Benjamin Britten’s folk songs “The Salley Gardens, There’s None to Soothe,” and floating “I Wonder as I Wander” held the silent hall speechless and was a triumph. While Ms. Piau and Ms. Manoff may have not yet captured the Boston mainstream, their two encores – Poulenc’s cheerful and optimistic “Voyage à Paris,” and Debussy’s romantic and impressionistic “Beau soir” – appealed to the musicologists and aficionados in attendance. 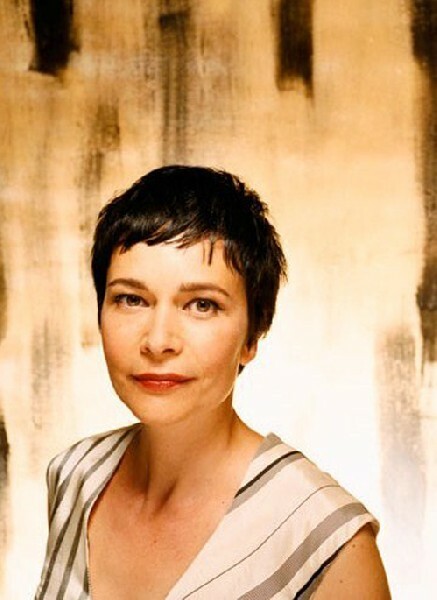 If you missed soprano Sandrine Piau and pianist Susan Manoff, you can still listen to them through May 5, 2012, at one of their USA tour remaining performances: Savannah, Georgia; University of California, Berkeley; Carnegie Hall, New York; and St. Louis, Missouri.